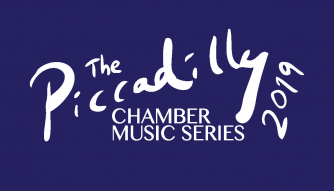 The West End’s newest chamber music series, Piccadilly Chamber Concerts return in 2019, focusing on ‘The Great Romantics’. Each programme features a great 19th century Romantic masterpiece. Now in its 2nd season, the 2019 series begins on March 1st with a performance of Beethoven’s highly-energised Piano Trio Op 1 No. 1 in E flat and Mendelssohn’s exquisite Piano Trio no. 2 in C minor and celebrates St David’s Day with a piano trio by Welsh composer Hilary Tann, the evocative “Nothing Forgotten”. The distinguished welsh violinist Matthew Jones is Head of Chamber Music at Guildhall School of Music and has a large acclaimed discography with Naxos and other labels as both soloist and chamber musician. Cara Berridge is cellist of the internationally renowned Sacconi String Quartet and is one of the leading cellists of her generation. Concert pianist Warren Mailley-Smith became the first british pianist to perform Chopin’s complete works from memory in 2016 and is enjoying an increasingly wide following across the UK. Audiences will be treated to an uplifting, entertaining and informative musical experience.